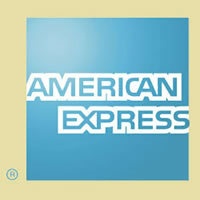 American Express is once again pleased to be the presenting partner of the World Gourmet Summit 2006. The World Gourmet Summit is the country's premier culinary event of the year and has become a much sought after feature in Singapore's lifestyle calendar. At American Express, we recognise that you appreciate the finer things in life, which is why we continually seek ways to enhance your lifestyle experiences by bringing you signature events such as the World Gourmet Summit. This year, American Express Cardmembers will once again enjoy exclusive privileges at the World Gourmet Summit events. Join the Masterchefs at work and participate in a series of hands-on culinary and wine workshops, mingle with gourmet enthusiasts and wine aficionados at gala gourmet and wine extravaganzas. Or simply, savour the excellent creations by the Masterchefs and Hosting Chefs at Singapore's foremost dining establishments. network services company, founded in 1850. It is a world leader in charge and credit cards, travellers cheques, travel, financial planning, business services, insurance and international banking.